A woman in her 20s who called 119 in the midst of a suicide attempt was repeatedly doubted by the emergency service center during her request for help, but emergency services have denied that this affected the failed attempts to rescue her. 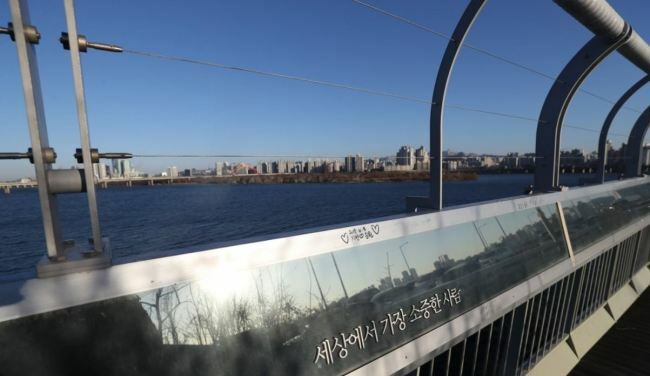 On Nov. 27, a woman called the emergency services, asking to be rescued after she jumped into the Han River as an attempt for suicide. Following the call, the dispatchers searched the Mapo Bridge, where the victim had jumped off, and the surrounding area for 20 minutes, but to no avail. Three days later, her body was found near the Gayang Bridge, 8.5 kilometers east of Mapo Bridge, by a member of the public. In the disclosed conversation, the caller’s account that she is in the river is met by the receptionist’s disbelief, “How can you speak so eloquently (while you are in the river)?” While the woman tried to assure that she was “not prank calling,” her veracity was again questioned. “I’m just saying it’s amazing how you can call while swimming in the middle of the river late at night,” he said. But in a call with The Korea Herald Friday morning, Seoul Metropolitan Fire and Disaster Management headquarters said reports of the conversation had not reflected that a response team had already been dispatched. According to an officer at the headquarters, the city’s emergency center received the call at 1:28:59 a.m. and dispatched five rescue corps teams about a minute into the call at 1:30:10. He said that controversial part of the call happened after the rescue team had already been sent her way. When asked about follow-up measures, he said it was “too early to discuss” and expressed sympathy for the family’s loss.